A great way to enhance the look of your property, whether it’s residential or commercial, is to install a wooden floor. What the floor fitters in Clapham SW4 can do for you is take your personal style and install a floor that meets your expectations. You’re the one in charge from inception, through the first consultation visit until the completion of the project. In the end, you get to marvel at a floor that will stand the test of time. Meet The Experienced Wood Floor Fitters in Clapham! What you gain from us is a professional a team who understand the intricate nature of having to install a wooden floor. All wood floor fitters under contract with us in Clapham SW4 are proven professionals with years of experience and numerous projects under their belt. This ensures you’re booking skills honed in the workplace. We operate using only quality materials and the newest techniques that promise a quick service that leaves an immaculate result every single time. It’s what your home or office deserves! Now that you have decided on installing wooden floors, call 020 3404 9697 to get in touch with our office and schedule your no-obligation on-site consultation. You can contact us every day of the week from Monday to Sunday with the inclusion of bank and national holidays. 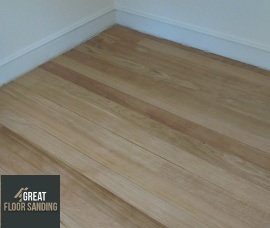 All of the wood floor layers in Clapham are here to help you create a unique service package and accommodate all your needs whether you want more information regarding our services or want to make alterations to an existing appointment.